As you know Pollokshields Heritage contributed towards the recent Make Your Mark Charrette in East Pollokshields. A key part of the discussions during the charrette and one of the outcomes in the follow up charrette report, that we are hopeful will be adopted as Supplementary Planning Guidance by Glasgow City Council, was what to do with the large Gasworks site on Maxwell Road that effectively severs East Pollokshields from Pollokshaws Road and Eglinton Street. The proposal from the charrette was that this site should become a ‘new Garden suburb’ with a mix of flats and townhouses taking their cue from both the neighbouring tenements of East Pollokshields and the townhouses in Strathbungo to the south. 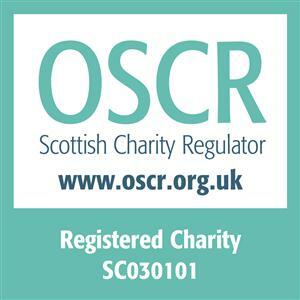 It has recently come to our attention that part of the site has been sold to the Home Group, a large Newcastle based social enterprise, developer and social housing provider and it will be developed by their Scottish wing. We have been told that they plan to develop circa 150 homes for social rent on the western half of the site but exactly what form the development will take and how it will respond to the vision set out in the charrette report remains unclear. Homes Group have appointed AS Homes - a design and build developer - to submit a planning application for the site and as this is a Major Application they are hosting a pre-application exhibition on their proposal at the Tramway on 8th November between 2-7.30pm. Though we have met with AS Homes and asked to see their proposals in advance of this exhibition they have so far declined to do so. Hosting this single exhibition is the minimum requirement for community consultation under current Scottish planning law so is the only opportunity the Pollokshields community has to influence the development and secure the best possible result for the neighbourhood. We are bringing this to your attention as not only do we want any new development to be of a standard commensurate with the East Pollokshields Conservation Area we also want a full consideration of the effect on Pollokshields – schooling, public transport, traffic implications, additional leisure & green space requirements. 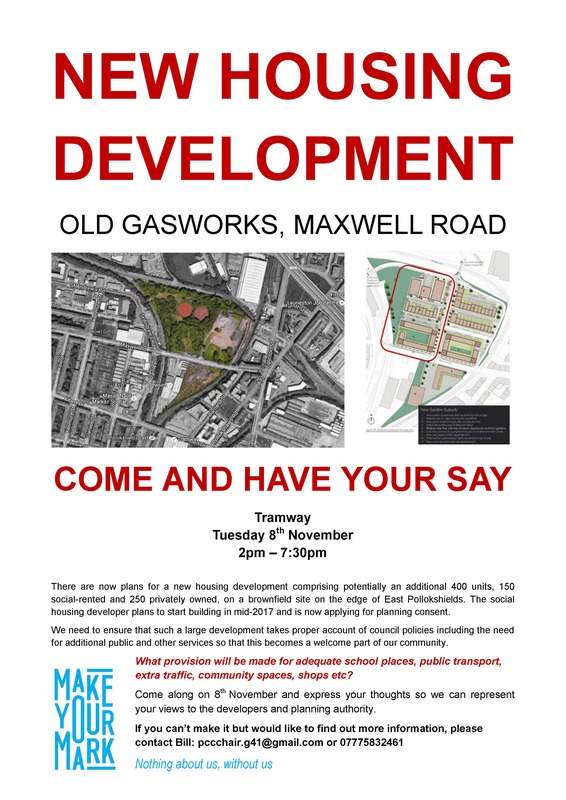 We urge you to attend the Tramway event where the Developers are obliged to record your comments and ensure they are conveyed to the planning authority. Pollokshields Community Council member will be doing likewise. In addition, because Pollokshields Community Council regard the 8th November event as inadequate for meaningful consultation they intend to repeat the exercise at a planned Public Meeting on 24th November. The venue is SoulRiders at 167-171 Maxwell Road (though the entrance is round the corner on Forth St) from 6-9pm – however the Home Group management has not yet committed to attend. This meeting is part of a more detailed event to present the results of the MakeYourMark charrette earlier this year. Pollokshields Community Council will also include a vote on how to best organise community empowerment. A buffet will be offered from 6pm as well as an exhibition.